Hearing loss is a major health concern that is finally starting to get attention. In 2016, two US Senators, Elizabeth Warren and Chuck Grassley, announced the introduction of the Over the Counter Hearing Aid Act of 2016, the bipartisan bill that would make certain types of hearing aids available over the counter (OTC) to consumers, and would eliminate the need for a medical evaluation or signed waiver in order to obtain these devices. This Act comes following several recommendations from the President’s Council of Advisors on Science and Technology (PCAST) and the National Aacdemies of Sciences, Engineering, and Medicine (NASEM) that aim at making hearing aids more accessible and affordable. The introduction of this legislation has been highly controversial in the hearing healthcare world, from professional organizations with differing views to individual hearing healthcare professionals outpouring of opinions, including differing views from Audiologists, Hearing Instrument Specialists, and Otolaryngologists alike. So the question is, what does this legislation mean for people with hearing loss, and what does it mean for the hearing healthcare professionals that serve them? The current way hearing loss is being addressed in the United States is not good enough. Over 30 million Americans have hearing loss, often due to aging. One in every 4 adults ages 60-69 and one in every two adults ages 70-79 have hearing loss. We also know from recent research that untreated hearing loss, even a mild hearing loss, can have significant consequences. These consequences include a higher risk of depression, dementia, falls with injury, isolation, and reduced physical activity. Even so, less than 1 out of every 5 adults with hearing loss seek out the use of hearing assistance technology. As an Audiologist, these numbers are astounding and heartbreaking. Ever since I chose the profession of Audiology I have been preaching to my patients, family, and pretty much anyone that would listen about the consequences of untreated hearing loss. It seems so silly to me that if you knew you were at risk for dementia because you wouldn’t wear a hearing aid why you wouldn’t wear one?! It’s not always that simple. 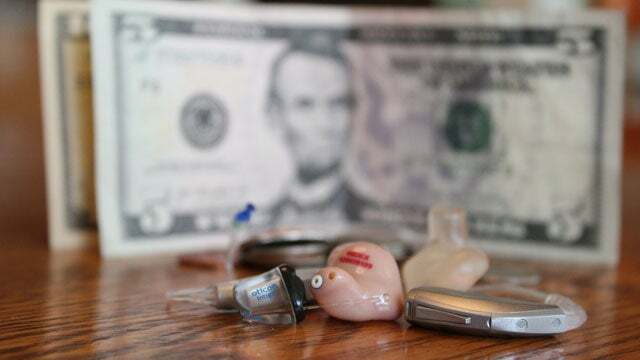 The poor use of hearing devices among Americans with hearing loss is likely due to their high cost, as well as lack of accessibility and confusion surrounding buying hearing aids, and social stigma of wearing assistive technology. Hearing aids cost an average of $2,300 a piece, and most people need two. Medicare does not cover the cost of hearing aids, and neither does most private insurance companies. For those that do, it’s usually only a small part. Not only is the cost a hindrance to buying hearing aids but there is so much false information and stigma surrounding the use of hearing aids. Many people choose to go without even though they know they have a hearing loss because they have heard so many negative things about hearing aids, or they don’t know who to trust when it comes to making a hearing aid purchase. Or worst of all, they fear people will think they’re dumb for wearing hearing aids due to the negative stigma surrounding them. Can the introduction of a new class of hearing technology, called over the counter hearing aids, solve these outstanding problems in hearing healthcare? 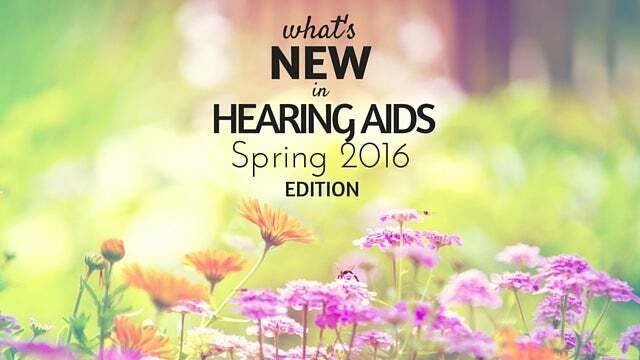 People are looking for low cost hearing aids. They shop around at their local hearing aid dispensers office, the miracle ear retail store down the street, the Big Box store, and online. Prices may vary between these distribution channels, but the confusion of which device to buy still remains. The FDA defines a PSAP as being a wearable consumer electronic product intended for non-hearing impaired individuals to use to augment hearing in certain environments, such as recreational activities. PSAPs are not intended to compensate for hearing impairment. Hearing aids on the other hand, as defined by the FDA, is any wearable device designed for the purpose of aiding persons with or compensating for impaired hearing. Hearing aids are considered Class 1 Medical Devices and are more regulated. Only 6 manufacturers produce nearly all the hearing aids sold in the United States, keeping competition low and prices high. PSAPs, on the other hand, are not under regulation and are sold for $100s of dollars instead of $1000s, keeping innovation low. Up until December of 2016, the FDA required that consumers undergo a medical evaluation or sign a waiver before purchasing a hearing aid. Now that restriction has been lifted for adults, as likely the first step to offering a third type of device: over the counter (OTC) hearing aids. Many hearing healthcare professionals have expressed concern and even outrage over the idea of OTC hearing aids. The major premise of OTC hearing aids that has raised concern is that it will be necessary for consumers to self-diagnose and self-treat their hearing loss to purchase OTC hearing aids. Following PCAST recommendations, OTC hearing aids would be intended for people with bilateral, gradual-onset mild to moderate age-related hearing loss. Do we trust that the average person can and will handle their hearing care on their own? The major concern is that without a thorough hearing evaluation prior to purchasing hearing aids, medically-treatable and sometimes life-threatening hearing conditions will be missed. Occluded ear wax is an example often given. Someone may believe they have a hearing loss and purchase an OTC hearing aid, when a simple ear wax removal at their clinic was all that was needed. More importantly is the risk that a life-threatening condition such as an acoustic neuroma may go undetected, or whether consumers can be trusted to seek medical help when in the case of a hearing event that is actually a sign of a more serious condition. Hearing healthcare professionals also express deep concern for the complexity of the fitting and adjusting of the devices that consumers would have to do on their own, resulting in an increase in inadequate fittings and insufficient hearing abilities with the devices. This could lead to greater nonacceptance of hearing aids than even before. The services they provide are valuable, at least in their eyes, and consumers cannot be trusted to DIY. However, hearing healthcare professionals have brought this change upon themselves by not adapting to the demands of the market. Consumers want low cost hearing aids and we haven’t provided those alternatives. Most Audiologists and hearing aid specialists “bundle” the cost of the hearing device in with other services such as the professional evaluation and consultation and follow-up and adjustments for the devices after they have been worn. Many people are not using or don’t need the additional follow-ups and many dispensers don’t offer a low-cost option. In my opinion, it will only be the audiologists and hearing aid specialists that can adapt to the changes of OTC hearing aids and consider “unbundling” the cost of the device from the cost of their services that will survive. On the other side of things are those that welcome and rejoice in the possibility of OTC hearing aids. They argue that a serious cause of hearing loss such as an acoustic neuroma is an extremely rare condition and will be accompanied by other symptoms which will prompt medical evaluation. However, the cost of untreated hearing loss is a much more serious concern that can be alleviated by greater affordability and accessibility of hearing aids. People with hearing loss wait an average of 7 years from the time a hearing loss is suspected to seek help with hearing devices. If the availability of a low cost OTC hearing aid can help people adopt hearing aids sooner, we could see a huge decrease in the negative consequences of untreated hearing loss discussed above. Imagine if we could reduce that statistic to 5 years or even 2 years, what a difference it would make in people’s quality of life through better hearing in their later years. It is possible that an OTC hearing aid becomes the first step in the hearing healthcare process, followed later by a professionally fit device, auditory training, and counseling services by a hearing healthcare professional. OTC hearing aids can become the “gateway” to comprehensive hearing healthcare. That is something hearing healthcare professionals should celebrate, after all, most of us got into this profession to help people. The hearing aid industry is currently comprised of 6 major manufacturers who have dominated the market for the past 15 years. 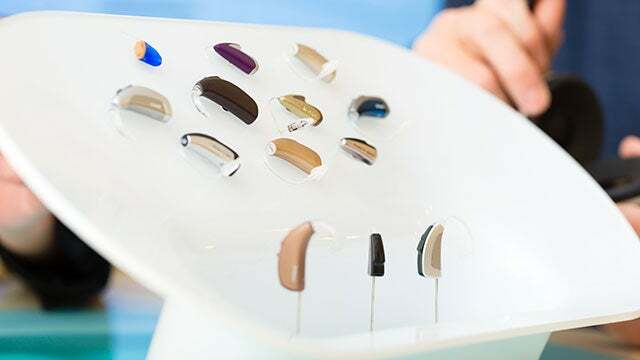 The introduction of an OTC hearing aid classification opens the doors for more opportunities and improvements in the hearing assistive technology market and will likely drive prices lower for consumers. Not only that but innovations in hearing technology from hearing aids to “hearables” is likely to reduce the negative stigma surrounding hearing assistive technology, again causing more people to accept them at an earlier age. When over the counter hearing aids are available, it will be important that consumers be responsible with their hearing health. There are always risks to self-treatment. In the case of OTC hearing aids, the risk of non-treatment may outweigh the risk of self-treatment. Iam not sure how my hearing problem could be diagnosed, as I hear fairly well, but when people speak fast, I can’t decifer what they are saying. I hear teh words, but can’t tell what they are. I would recommend you have your hearing evaluated by an audiologist. They will be able to tell you what is causing the difficulties you’re experiencing via speech testing. I’d love to know what OTC hearing aids you’ve already tried. There are simple devices that you can get to protect your “good” hearing aids. I have Tinnitus. Sometimes extreme, sometimes barely there. I have friends with this condition who bought Hearing aids and threw them away or permanently drawered them. I am sometimes OK, Is there an OTC device that would cover this condition? The information on PSAPs doesn’t seem to address this. I had expensive hearing aids to start with, Phonak I believe, but my audiologist (connected with a medical center ) told me they did not cope with age-related hearing loss. The struck me as weird at the time. I then got MD Hearing Aids ( which I believe were psaps ) but they served me well for a number of years. Now, I am 90 and my hearing loss is more sever. My otologist (no less told me “there was nothing more he could do for me” some years ago & he walked out of the room. Nice guy! I am not poor but $2-3,000. is a stretch. Would I be well-advised to try a new hearing aid, they do say it is that, made by the MDH company or are they not to be trusted at all. I just stumbled upon your publication & find it an oasis in a desert of misinformation. Born 1933, raised by deaf grandparents, I devoted my entire life as an avid supporter for the Deaf and Hard of Hearing. I dispensed hearing aids in the State of Texas from 1970 until 2008. My major concern is that hearing aids have been so expensive that the average person just cannot afford them and goes without. Over the counter hearing aids should not be taken lightly however I am all for it. It’s about time that the hearing industry start to think more of their clients than the pocketbook. I guess what amazes me the most is the fact that practically all modern technology goes down in price, not up! So, why does the price of hearing aids not come down? I’m in the trial and testing phase dealing with both hearing loss and Tinnitus. I’ve had T for over 20 years. I developed a “full feeling” in my right ear about 18 months ago. I went to an ENT and explained straight up that I was there primarily because of the fullness feeling in my right ear. I was disappointed when he finished going over my history, looked in my ears and said you need hearing aids. He was leaving the room when I ask, what about the fullness feeling in my right ear? Very disappointing! Cost has not been discussed yet. However, a friend of mine recently paid a little over $8,000.00! Wow! Unbelievable! Look in your local paper for sales. I got my hearing aids at a major hearing aid company for $1,500 a piece. They work quite well. I am not embarrassed to wear them. I do think it would be wonderful for the prices to come down and have them available OTC. I own a set of Resound and a set of Phonak with remote controls. It is important to know that there are two distinct qualities between these two hearing aids. Something I wish I had been schooled upon before I purchased. The Resound (a great unit with lots of perks) is designed for SURROUND detection from all directions. The Phonak is designed more FOCUSED (for lack of a better word). I have never been unable to use the Resound set because the more ambient sounds picked up by the Resound, the less distinct any sound becomes. A normal work or restaurant environment becomes pure ‘white noise.’ On the other hand the Phonak is great for ME. Now I’m not saying that the Resound won’t work for YOU, I just wish I knew before hand what the differences were because I am more concerned with one-on-one communication, especially with my grandchildren. Also, louder amplification is not always better; and for me, worse. I want to hear the kids or the TV in front of me – not my neighbor’s barking dog. Lets focus on clarifying the important sounds. A poke at the Audiologists: I am really tired of Audiologists telling me what hears better for me! I have yet to be serviced by an Audiologist with a hearing deficiency or hearing aids. It’s like getting child rearing advice from one of those ‘professionals’ who have NEVER had children of their own. I find this a very common criticism from peer patients. I have had hundreds of tests (yes -honestly, because of my rare hearing disorder: Anti-68KD HSP-70) and it comes down to this: No matter what the tests indicate, it is not up to the tests to determine what works best for the patient – it’s the patient. Having said that, Audiologists are an essential starting point with a necessary audio health evaluation exam. The cost of my units are $9k and $8k per pair, respectively. That is 10 times the cost the government pays for them. Overpriced is an understatement! Maybe O-T-C aids are what we need to lower prices and get more needy people to try them so they can improve their quality of life. Sorry to hear that you’ve had a difficult time with your ReSound hearing aids. This reply is to further clarify for those who may read your comment: The ReSound and Phonak hearing aids both have directional capabilities, which give it the ability to be “focused” to what’s in front of the listener. It depends on whether the directional functions are activated in the hearing aids and whether this automatically activates when the wearer is in noise, or if they have to manually put the hearing aid into a directional program.